Your lifestyle and the aging process can stain and darken your teeth. Many things we do on a regular basis can contribute to stained teeth, such as drinking coffee, tea, cola and red wine, or smoking. Whitening can get your smile looking its best. Non-professional procedures and clinically unproven teeth whitening tips can often lead to unsatisfactory results. Aside from our one-hour in-office whitening, we offer take home teeth whitening kits. We make a custom fitted tray into which you place a whitening gel. At night, fill the trays with the whitening gel and then insert the trays into your teeth. 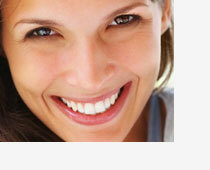 If you’re interested in whitening your smile, please come in for an evaluation. Not everyone is a good candidate for teeth whitening. Questions? Call us at (786) 558-8637 or Contact Us. Fill out the form below or call us at (786) 558-8637 and we’ll be happy to book your appointment.